The recent hot action for channel cats on the river was brought about by record high temps in February. 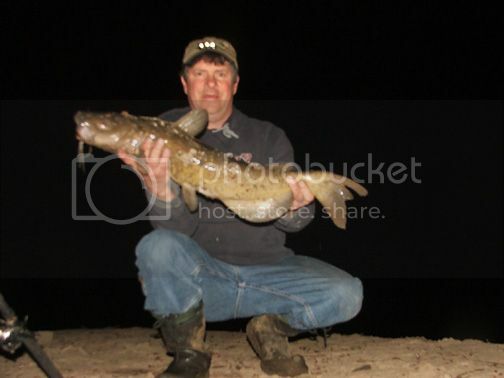 All the cat fish in the river system were in a semi inactive mode and located in what I call wintering holes. They seek out quiet areas out of the current and with most of the other fish in the river conserve energy. Since they are cold blooded creatures their activity levels naturally slow down with the water temps. The blast of warm air we got in Feb. brought the river temperature up enough to get them out of their stupor and out looking for a meal. As with most unseasonably warm weeks this catfish bonanza was followed by a colder week then some truly frigid air. Down goes the water temps and back to slumber go the channel cats. This will give all of us catmen another shot when the next wake up call is sounded. Pay attention to the weather and next time you see a couple days of unseasonable weather headed out way get out and get you some catfish!